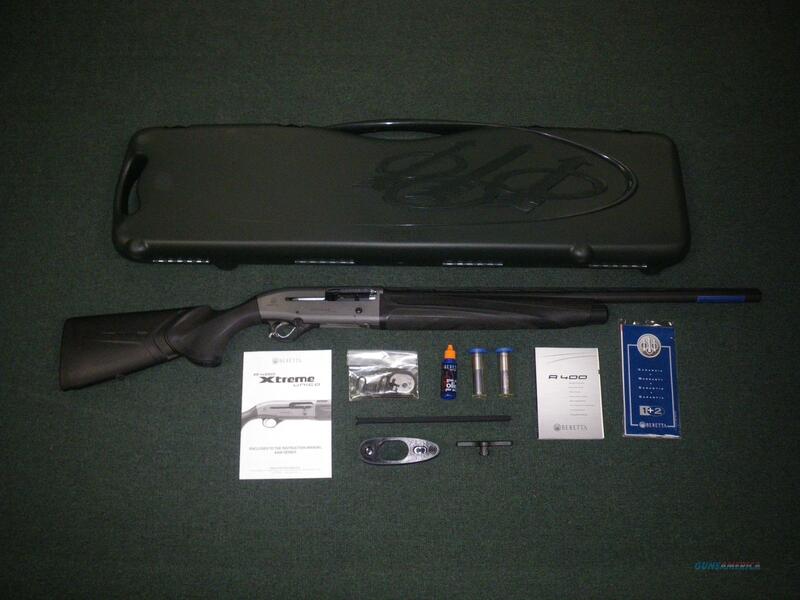 Description: You are bidding on a new Beretta A400 Xtreme in 12ga with a 26" barrel. This black-synthetic semi-auto shotgun is today’s most advanced of its kind. It reliably feeds every kind of 12-gauge shell from steel to lead, from 2 ¾” to 3 ½” and from 24 to 64 grams. It is capable of firing 4 shots in less than one second, and it is extremely soft-recoiling and pleasant to shoot, no matter the type of shell or the length of your hunting or sporting day. Also, it is impeccably balanced and follows your eye naturally to that fast-moving pheasant or clay target, while being quick and easy to field strip and maintain after a long day in the field. Ideal for upland or waterfowl hunting as well as target shooting, the A400 Xtreme Unico Synthetic is the perfect choice for the shotgunner looking for durability as well as versatility. Displayed images are stock photos. Any questions please feel free to ask (our phone number is in the additional information tab above).